Danish open API front-end trading platform tradable has today announced a partnership with bridge provider oneZero, further alluding to the increasing demand for open and customizable solutions from which to access liquidity for retail traders. The new agreement expands oneZero’s offering by giving brokers the opportunity to deploy the increasingly popular tradable platform connected to the pricing controls and trade routing available via the oneZero Liquidity Bridge. 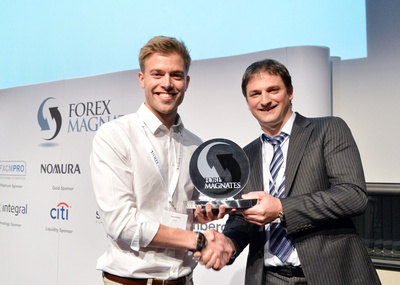 This represents a further milestone for tradable, a platform which is still in its relative infancy having been launched at the Forex Magnates London Summit last November, where it was awarded the Most Innovative Financial Product Award by Forex Magnates CEO Michael Greenberg. A few months later, at the iFXEXPO in Cyprus, the general consensus among attendees and software developers was that tradable was at that point still a work in progress, but there was a lot of positivity about the open nature of the trading environment provided by such a platform. Open Or Closed Front End? Senior industry executives echoed that line of thinking during a discussion panel, debating whether customizable solutions are better than off the shelf, or vice versa. “We use off the shelf systems all the time, however we have worked with some vendors which provide some excellent customizable solutions. There is a healthy mix, but we are starting to get much closer to the off the shelf solutions”. Andrew Ralich, , CEO and founder of oneZero, explained to Forex Magnates back in March this year that eFX technology has undergone something of an evolutionary period during the last five years. Mr. Ralich explained that “Over the past 5 years, the popularity of eFX trading among institutional and retail participants alike has grown astronomically. This has spawned a deluge of new platforms, client experiences and liquidity pools catered specifically to the growing number of brokerage firms around the world who are interested in offering eFX to retail traders. In this particular partnership, tradable brokers can choose to use oneZero’s liquidity bridge to connect to the liquidity venues of their choice and will have access to oneZero’s innovative Advanced Reporting and Monitoring System (ARMS). tradable can be run independently connected to oneZero technology, or be integrated alongside existing platforms for brokers already using oneZero. tradable, which according to the firm itself is the world’s first open trading platform, allows traders to create a completely customized online platform using third party developed apps to fully define their trading experience. Since launching with its ‘app store’ model last year, it is rapidly gaining momentum and has generated much interest amongst the global retail trading community. The interest in open platforms on the institutional side has been in full swing for some time now, however the retail sector has been overwhelmingly dominated by the MetaTrader 4 platform until recently. As MetaTrader 4 was initially designed purely as a closed platform for brokers operating a market-maker model, a number of third party software developers sought adaptations to the MetaTrader 4 platform when the STP model became popular among retail clients. This allowed brokers to offer their clients a direct market access trading environment with bank feeds, with the familiarity of the MetaTrader 4 platform, and cover the cost of such a bridge on a cost-per-million basis just as the liquidity solution is paid for. MetaQuotes allowed this to proliferate for some time, but began responding to it earlier this year by showing a few firms the door, including MT4i, an analytics intelligence portal for allegedly misusing MetaTrader code. Subsequent to that, MetaQuotes issued a warning against four copy trading providers, and then launched its own third party marketplace in May this year, in which software providers wishing to add their solutions to the third party ecosystem that has grown up around MetaTrader will have to submit it to MetaQuotes for vetting so that it can be deemed compatible, then acquired via the official MetaQuotes channels. With regard to expanding the oneZero’s support to other platforms as well as MetaTrader 4 for which it is a very popular bridge, Mr. Ralich explained to Forex Magnates in March this year that “our Bridge is becoming much more platform agnostic. We are working with a few other providers now in developing it for open platforms”. At that time, Mr. Ralich further added: “We are doing a lot more institutional functionality on the back end, direct bank feeds, and aggregation”. “The combined offering oneZero’s back-end tools with tradable’s open platform and app store is very compelling for brokers around the world” concluded Mr. Malling.